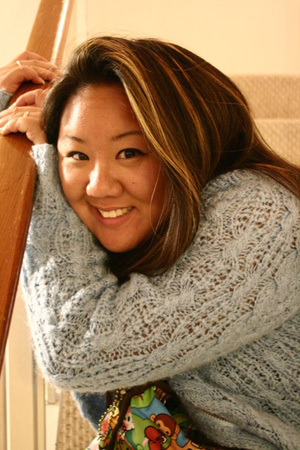 Kathryn was born in 1981, she grew up in San Gabriel Valley, CA, naturally exposing her to import tuning from the start. With her father's passion for modifying cars running through her veins, she has always had a love for cars. Ever since she was young, her parents used to take her to the annual LA Auto Show, and that progressed into local import shows as she got older. After graduating high school, Kathryn wanted to do something relating to the automotive industry. She has gone from selling cars, working in the service department to finally working in the after market industry. She is currently working as a sales representative at Dazz Motorsports. It wasn't until the first D1 Grand Prix debut in the US back in 2003, did her interest in drifting arise. Standing behind the fenced wall smelling the smoke from burning tires, and watching the fluid way transitions of the cars as they blew by, she began to wonder what it would take to get there. Finally in October of 2004 she picked up her 1990 Nissan 240sx, and six months later she was living life side ways. Bitten by the drifting bug, Kathryn has been a regular at drift day events and local amateur competitions. Being a woman in motor sports, Kathryn is determined to be successful both at work and on the track. Dealing with every day trials, it has added to her inner strength, self motivation and passion for her hobby. She has high hopes of becoming a professional driver and an inspiration and role model to potential and fellow women in motor sports. © Copyright 2008 Kathryn Tanaka, All rights reserved.